very nice experience with Taste India ... Our stay with Taste India was just wonderful, we felt as if we were in our own home. They are very nice and very helpful. I would say its the best value for the money. I would definitely prefer staying with Taste India in my next visit. It is centrally located. It has in it vicinity famous shopping and commercial establishments, historical sites and best eating joints. Since we ourselves have traveled extensively in India and abroad we are therefore, in a better position to understand the customer needs when they travel to a foreign land. We can help / guide the guests in planning their daily itinerary and if time permits would even accompany them to near by places, if they so desire. We offer the luxury of a good hotel and comfort of a home and do our best to ensure that our guests always remain in a light and happy mood. Airport-Daula Kaun- 10 kms. Daula Kaun to Defence Colony 8 kms. Payment advance . Cancellation, If more then 7 days in advance 100% refund , If 3 days in advance 50% refund , If 24 hours in advance than 25% refund. On reaching Daula Kaun take right to reach the Ring Road and keep going straight passing Moti Bagh, AIIMS Hospital, South Extension . Take a left from the traffic light just after south extension market under the flyover . Do not climb the south extension flyover. After the left turn on the right is Defence Colony and left hand side is Kotla Mubarakpura. From first traffic right take a U turn and after 10 building is our House A-284 Taste India . Railway station of India Gate 4 kms, India Gate to Khan Market 3 kms, Khan Market to Defence Colony -3 kms. defence colony city bus stop opp. 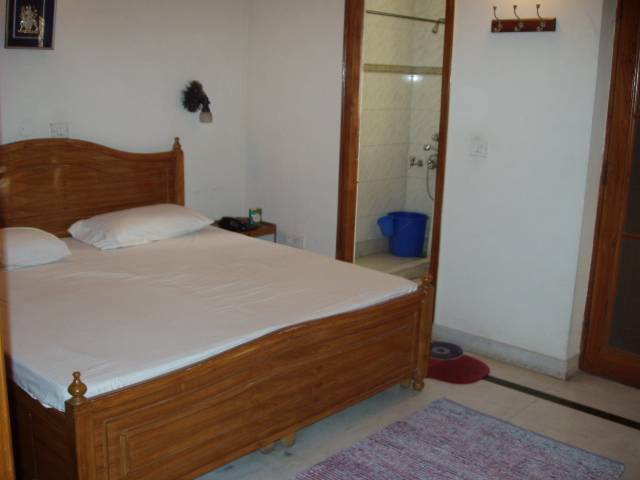 Kotla mubarakpura.-- 10 yards walking distance.